Gagan Kabra was transferred to Guwahati in 2005 while he was working for Spicejet Ltd as the Customer Service Executive. After leaving his job in 2012, he got into entrepreneurship in the fields like events and marketing. 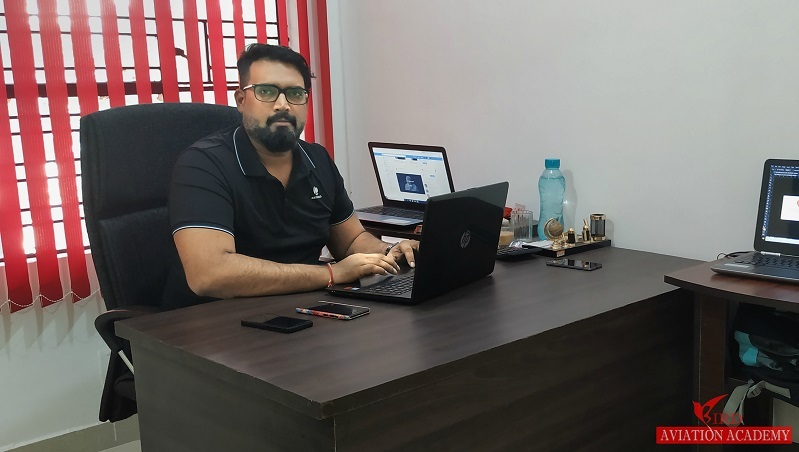 In 2015, he came up with the idea of setting up a full time residential air-hostess and skill development training institute called the Bird Aviation Academy. Presently he is acting as the director at Bird heading the administration team and a mentor at the institute. Tell us a little about your institute ‘Bird Aviation Academy’. How did you come up with the idea of setting up an aviation academy in North-east India? One thing I personally liked about the people of North-East India is their soft and gentle gesture towards the travellers and tourists from different states and countries. Unfortunately, due to lack of professional training setup in the region, majority of the candidates go out of their states to pursue courses in aviation and hospitality sector by paying huge amount of money. 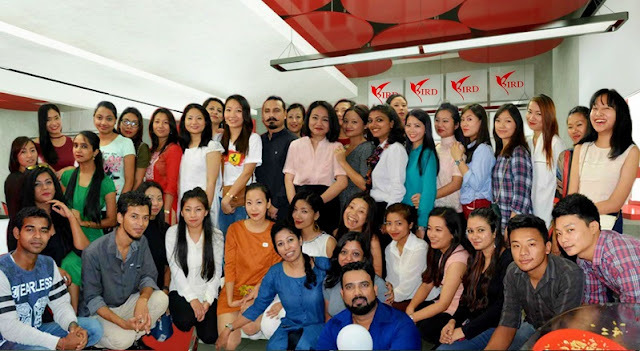 Bird Aviation Academy offers various career options to those eligible candidates in Northeast, who do not want to waste time, money and energy but would rather use their constructive energy to launch their career in the present competitive world. What kind of training and courses do you offer? How do you offer placements to the students? We have a special training program called “Fastrack Certicate Course In Aviation and Hospitality Management”. This is a very unique course which gives detailed knowledge about the duties and responsibilities of the department like flight attendant, airport operations and services, front desk etc. The duration of the course is only 90 days which includes all major topics like grooming, soft skills, in-flight training, interactive communication and interviews etc. Enrollment in Bird is not easy. A candidate has to be eligible not only in physical standards but also in other fields like communication and interpersonal skills. Right after the admission, the candidate has to clear all the assessments during the training to crack the final interview with the concern Airline to get placed. Our placement cell gives students of each graduating class opportunities to interview with various carriers. How have been the placements at your institute for 2018 batches? The placement record for 2018 batches was very good. We touched the slot of 90% placement in both aviation and hospitality industries in which 40% candidates got placed in Spicejet Ltd. whereas, 25% in Indigo Airline and 25% got through in Go Air, which are the leading airlines in the country at present. According to you how has the value of hospitality management training in India changed in the last 3-5 years? How do you foresee hospitality industry programmes, especially in the aviation sector, changing in future? Hospitality management is a vast subject to discuss or elaborate. It completely depends on the infrastructure what we have today in the skill-level training. There are several departments in hospitality like front-desk, housekeeping, customer service etc in the sectors including budget hotels, 5-star properties, shopping malls, aviation etc which are yet to be popularized. For companies, it becomes very difficult to recruit smart employees in these departments who are not just skilled but also passionate about their duties and responsibilities. Today we have many educational institutes in the country who are managing both private and government reputed courses like skill-development and other CSR programs which according to me are not enough. The most important role of any institute is their consistency in sharing the relevant knowledge through thorough research and by conducting various interactive sessions, on job training, counselling etc for the growth of both employee and the industry. I believe there is a drastic change in the aviation industry in the last 5 years. In-fact, all the major airlines like Indigo, Spicejet etc are in their quarterly-profits because of high tickets sell and growth in the passenger load at all major airports. Still, there are much to be done in terms of the connectivity from the rural regions to the major cities, growth in infrastructure and employment benefits. Apart from running an aviation academy, are you also working on any other projects? What are your future goals? Yes, I am working on another project called “Tripbyt India” which is basically a mobile application service from where any passenger can book their highway meal and rooms while on the move. The service was launched in the first week of January, 2019, and the application is now available on Google Play and IOS Platform. I do believe in setting up daily small personal goals in order to achieve bigger targets in both business and life. This also helps me in bringing perfection to my current job roles and responsibilities. As for my ventures, presently, I want them to be known and loved by people. I and my team are working day and night to rectify every problem and other challenges we face on daily basis. Personally, I always wanted to become a respected entrepreneur with principles and moral values. And I am connecting and working with right kind of people to achieve my goals. I believe in growing together.